Lele was only 29 days old when his father, Mr. Zhong Chongbin, was arrested and given two years of forced labour in January 2002. 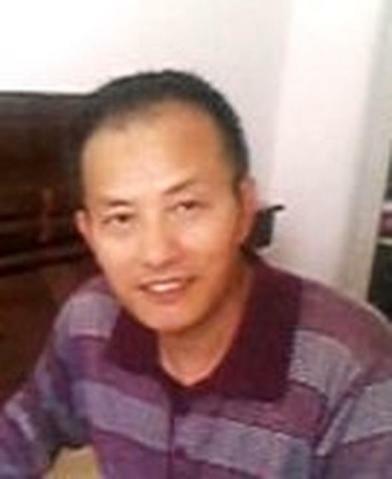 Not long after Mr. Zhong's release, he was arrested again and sentenced to four years in prison. Lele was happy to welcome his dad home in May 2008, only to see him taken back into custody in June 2015. Mr. Zhong, a veteran and paralegal, was sentenced to three years in prison and wasn't released until his term expired on June 12, 2018, even though he had become gravely ill with Tuberculosis. Mr. Zhong's wife, Ms. Xia Zhengyan, and his older sister, Ms. Zhong Jinjun, were both arrested one week after he was last sentenced to prison in June 2016. The sisters-in-law were both sentenced to prison in May 2018, with Ms. Xia receiving 2 years and Ms. Zhong 3 years. Lele's parents and aunt were targeted because they refused to renounce their faith in Falun Gong, a spiritual discipline that has been brutally persecuted by the Chinese communist regime since 1999. Many Falun Gong practitioners have been arrested, tortured, maimed, or even killed for their organs for holding firm to their belief. Lele's father died two months after being released from prison. His mother was released to tend to her husband's funeral, but her sister-in-law remains imprisoned. Mr. Zhong, 57, contracted Tuberculosis in prison. His niece applied for medical parole for him, but her request was denied. Because of the remote location and poor transportation accessibility of the prison, it was difficult for Mr. Zhong's family to visit him or get updated information about him. By the time he was released on June 12, 2018, Mr. Zhong weighed only 75 pounds. He was never able to recuperate and died two months later.